Successfully Added HK Warehouse HOMTOM HT17 Pro Smartphone - Android 6.0, MTK6737 Quad-Core CPU, 2GB RAM, 4G, OTG, 3000mAh Battery, 13MP Cam (Gold) to your Shopping Cart. 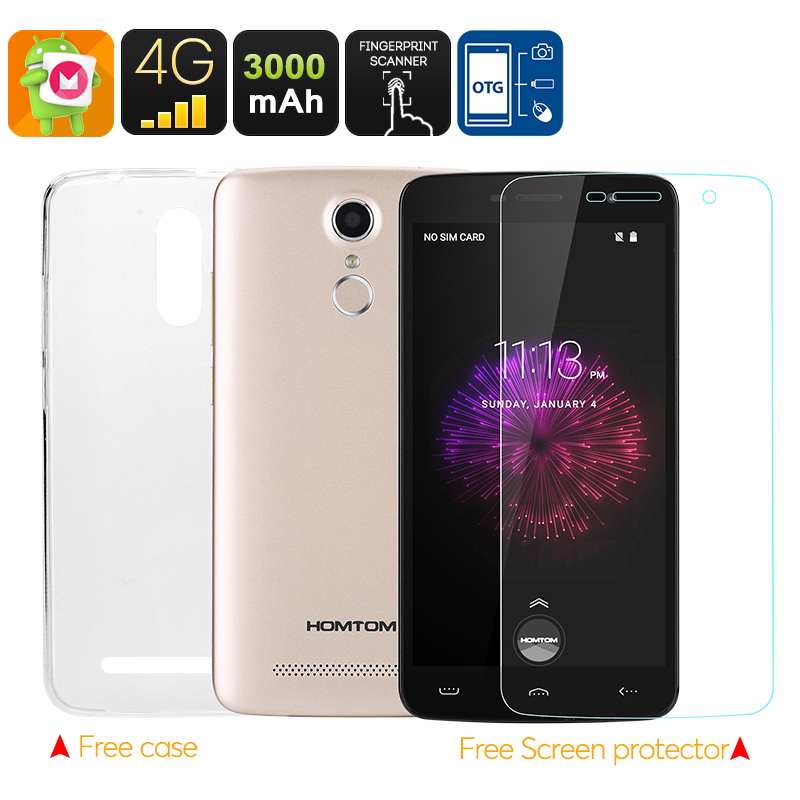 The new Homtom HT17 Pro is the upgraded version of Homtom’s previously launched HT17 model. Bringing along some interesting improvements in both hardware and appearance this latest Android 6.0 Chinese smartphone is a budget device that holds the advantages of a high-end smartphone. Operating on the latest Android system this budget phone is the first smartphone that features the MTK6737 Quad-Core CPU. Clocked at 1.3GHz this processor packs some serious power and will provide you with a fast and smooth user experience free of any lag. Along with its Mali-T720 GPU and 2GB or RAM the Homtom HT17 Pro provides you with a sharp image quality and high color saturation, allowing you to enjoy all the latest HD movies, games, and Apps to the absolute most. Its upgraded 16GB ROM capacity additionally lets you enjoy plenty of internal storage capacity. Save as many pictures, videos, music, and files as you wish without the fear of running out of storage space any time soon. 4G connectivity lets you enjoy the fastest data speeds out there. Download Apps in the blink of an eye and stream movies effortlessly – the Homtom HT17 Pro offers a completely lag-free experience. With Google Play installed you can enjoy millions of free games and Apps that can now be enjoyed on an entirely new level allowing you to significantly increase your mobile entertainment experience. Its newly developed 3000mAh battery works 25% more efficient as that of its predecessor due to which the Homtom HT17 Pro can offer a stunning 10 hours of continuous usage time. Watch tons of movies, browse the web for hours in a row, or drift away in the virtual world of 3D gaming. With this Chinese smartphone you can easily make it through the most demanding of days without the need to recharge your mobile. Featuring Hot Knot this Android device furthermore allows you to share data and files wirelessly by simply letting your smartphone touch screens with another Hot Knot enabled device – making data transmission between you and your friends a whole lot easier, faster, and more fun. The Homtom HT17 Pro comes with a 12 months warranty, brought to you by the leader in electronic devices as well as wholesale Chinese smartphones..
Excelente relación calidad precio. Aparenta mas peso de lo que realmente tiene. Es muy ligero. Para un uso básico tiene recursos de sobra.